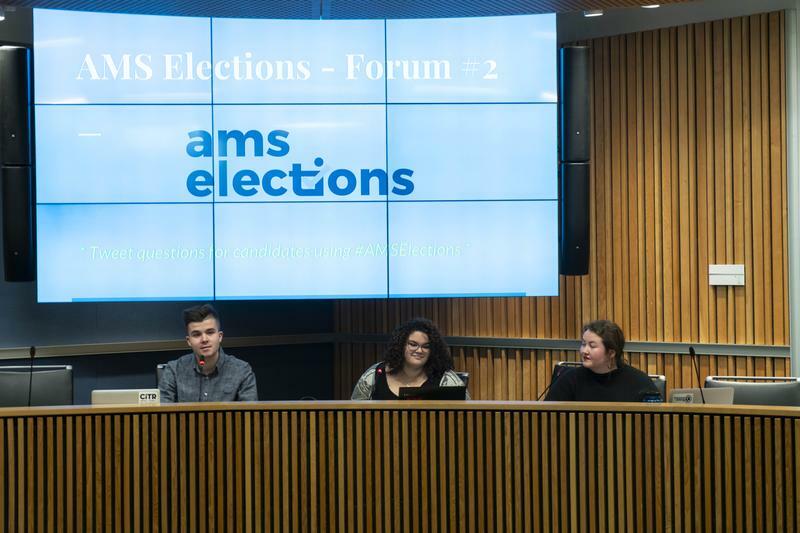 On Thursday, VP Administration candidates met for the first of two debates in the 2019 AMS elections season. 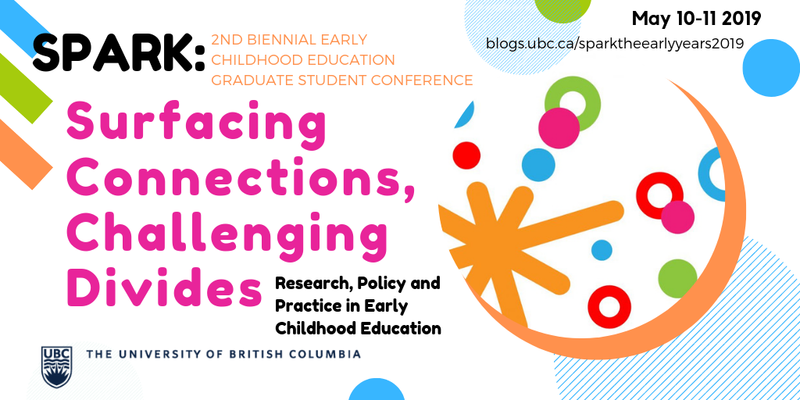 Cole Evans, Andrea M. Hurtado Fuentes and Alex Okrainetz deliberated on the AMS Sexual Violence Prevention and Respectful Environment Policy (SVPREP), challenges with Clubhouse and how the AMS can better support student clubs and constituencies. Arts Undergraduate Society councillor Cole Evans emphasized his AMS experience and promised to “put the ‘student’ back in ‘student society’” by working closely with clubs and constituencies. Okrainetz, assistant director of Common Energy, emphasized her passion and experience with sustainability initiatives and said she’d work to foster community within the AMS. All candidates agreed that communicating policy expectations to clubs would be challenging. Evans highlighted challenges of “clarity” and ensuring the policy was approachable for students, while Okrainetz noted that her plan to reach out to clubs that don’t normally engage with the AMS. Fuentes said ensuring student leaders were well-equipped to handle situations of misconduct would be the foremost priority. The second question concerned whether the AMS operations committee should decide whether a club member is expelled. Fuentes then challenged Evans, saying it was the duty of the AMS to ensure clubs followed AMS policies and questioned whether it was “legally possible” to give clubs the final say in expulsion. Okrainetz added that since internal club politics are at play, it could “be dangerous” for clubs to have the power to expel a member and the AMS should act as a neutral third party. Evans then backtracked, saying he wanted to make sure clubs were equipped to handle situations on their own before turning to the AMS. Fuentes criticized Evans for contradicting his platform of internal autonomy for clubs, arguing it wasn’t possible for clubs to be fully autonomous while being governed by the AMS. The third question asked candidates how they would respond to the booking of a controversial speaker in the Nest. All three candidates agreed that student safety would be paramount, but were scant on details about what that would look like in practice. Evans said he’d “take drastic action” to ensure students felt safe. Fuentes and Okrainetz addressed the importance of finding compromises. “If [a controversial figure] is coming in and people are concerned about it, [it’s important] for us to communicate very thoroughly with the entire student body,” Okrainetz said. The final question concerned whether or not clubs liked Clubhouse and if the candidates would consider replacing it. All three candidates acknowledged that most clubs they had communicated with expressed a dislike for Clubhouse. Evans said he would edit Clubhouse to make it a more useful platform, while Fuentes said she would consider installing a cheaper platform designed by students. Evans responded to her suggestion saying that since the AMS was in a two-year contract with Campusvibe (the provider of Clubhouse), replacing it would be cost-prohibitive. Okrainetz said she’d consult with students first to determine if it was a priority for the portfolio. During closing statements, Evans reiterated his AMS qualifications while acknowledging himself as an “establishment” candidate, but pledged not to stick to the status quo. Fuentes outlined her platform of empowering student leaders through peer-support workshops and insuring the equitable treatment of clubs. “One of the responsibilities of the leader is to help others become leaders too,” she noted. Okrainetz closed with her platform points of fostering communication, creating a better bookings system and prioritizing sustainability by moving the Student Life & Sustainability Centre office from the lower floor of the Nest to the AMS offices. “If you take away anything from my platform it’s how passionate I am about building community,” she said. A previous version of this article misspelled Okrainetz's name. The Ubyssey regrets this error.